One day, about 10 years ago, Sergey Khvoshchinsky, walked into a grocery store in his hometown of Minsk. "You could find nothing. Only very simple, very cheap milk, same bread," he says. That on top of the news that the violin teacher of his musically talented daughter was leaving town and moving to France was the last straw for Khvoshchinsky. The composer knew from his four tours in the United States with the State Dance Company of the Republic of Belarus that life can be better. The St. Paul based American Composers Forum wrote letters on his behalf to immigration officials. Soon Khvoshchinsky found himself an immigrant living as a long term guest at a home in a fashionable Minneapolis neighborhood. "I had a grand piano, I had a big house, I stayed there by myself so I composed a lot of music," he says. Sergey Khvoschinsky was a well-known composer and music teacher in Belarus. He wasted no time in applying those talents in Minnesota writing music for all kinds groups including the Champlin Park high school chorus. Khvoshchinsky got more notice in 2001 when he composed an award winning Christmas carol performed by VocalEssence. Then he hit a creative high point. The St. Paul based Rose Ensemble commissioned Khvoschinsky to write a piece for them. Khvoschinsky wrote a setting of the Ave Maria titled Bogoroditse Devo that is almost literally off the vocal charts, according to ensemble founder and artistic director Jordan Sramek. "He pushed us having the soprano sing as high as she can and having the bass sing as low as he can," he says. The Rose Ensemble was already an internationally recognized group. With Khvoshchinsky at bat they'd hit a home run. The recording of the Bogoroditese Devo on the Rose Ensemble's CD, Fire of the Soul, and any live performance they did of the piece was an instant success with audiences. "It was what we now refer to as, 'the hit,'" he says. The success brought more work for Khvoshchinsky. However it takes more than some successful choral tunes to pay the bills. The 50 year-old Khvoshchinsky is an American now. His wife and two daughters were able to join him in this country two years ago. He doesn't have a patron with deep pockets. So, like most artists he cobbles together a living. He teaches, he performs, he takes commissions. And in the time honored tradition of many musicians he has a Sunday job as a church music director. 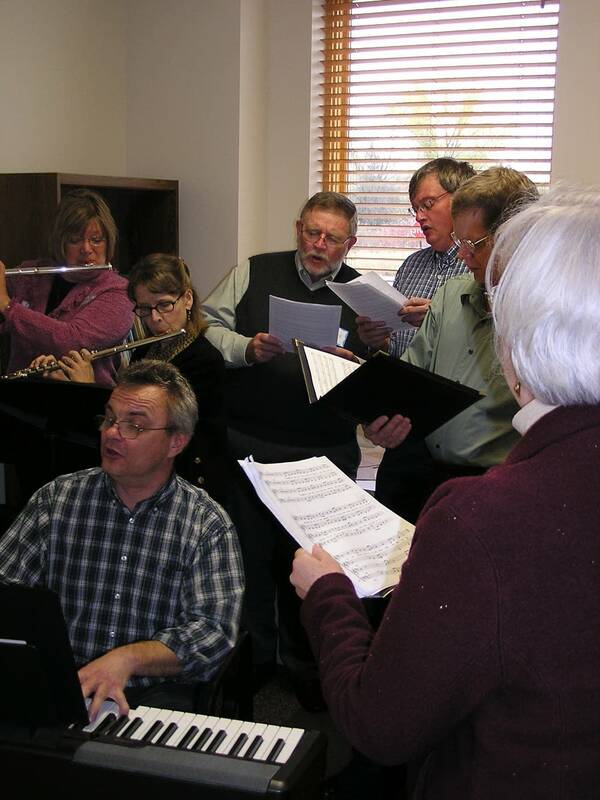 When their regular rehearsal space in the sanctuary at Living Waters Lutheran Church in Lino Lakes, a northern Twin Cities suburb, isn't available Khvoshchinsky squeezes the seven voice church choir, two flute accompanists and himself on keyboard into his tiny church office. During the worship service Khvoschinsky supplies accompaniment for the liturgy, hymns and the choir adding keyboard flourishes here and there that probably aren't in the printed score. On a recent Sunday the service runs long, but Khvoschinsky's enthusiasm and energy are undiminished. As parishioners file out he slips his arms through the straps of his accordion and launches himself and the choir into the postlude. In what may be a blast from the past in Belarus when he composed for the Republic's top state dance company, Khvoshchinsky sets a tempo for a danceable version of the hymn, "What a Friend We Have in Jesus." After church, Khvoshchinsky heads home for lunch and a nap. Then it's back to work as a composer and writing his next big thing. He's putting the finishing touches on a massive five movement piece for chorus and orchestra. The work is a commission from the Augsburg Masterworks choir to observe their 15th anniversary. Masterworks Choir director and Augsburg College music professor Peter Hendrickson says each of the five movements is performed in five separate languages, Greek, Latin, Russian, Hebrew and English. The musical style for the movement in English, Hendrickson says, is jazz. "We've got a trap set, saxophones, plucked string bass, a couple of trumpets, three choirs going on so twelve vocal parts," he says. The new composition titled, In Repentance, gets its world premiere Sunday afternoon at The Church of the Annunciation in south Minneapolis. 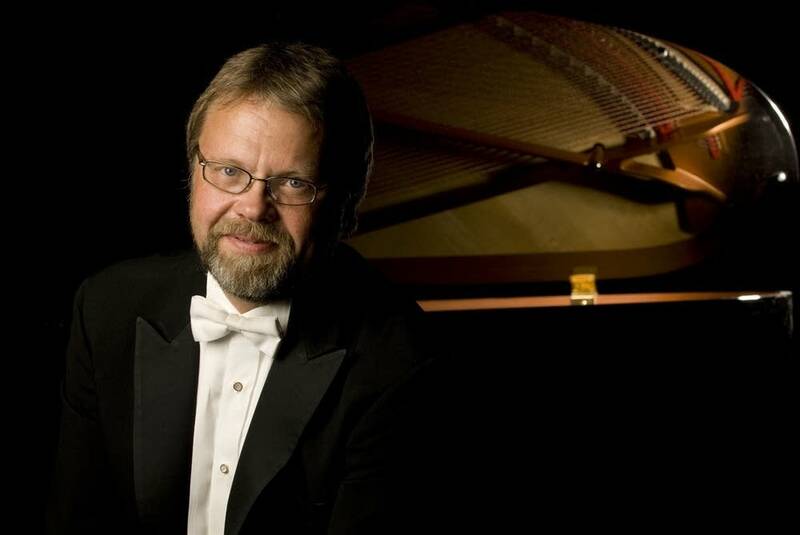 There's a good chance the composer Sergey Khvoshchinsky will be there after he's finished the Sunday morning service at Living Waters Lutheran in Lino Lakes. 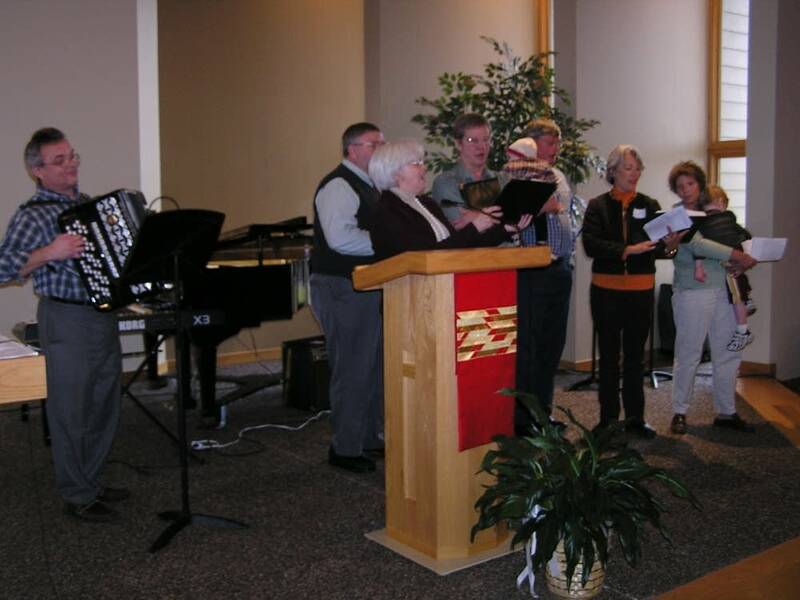 For 15 years the Augsburg College Masterworks Chorale has provided an opportunity for alumni, staff, faculty, friends of Augsburg, and current students to sing. 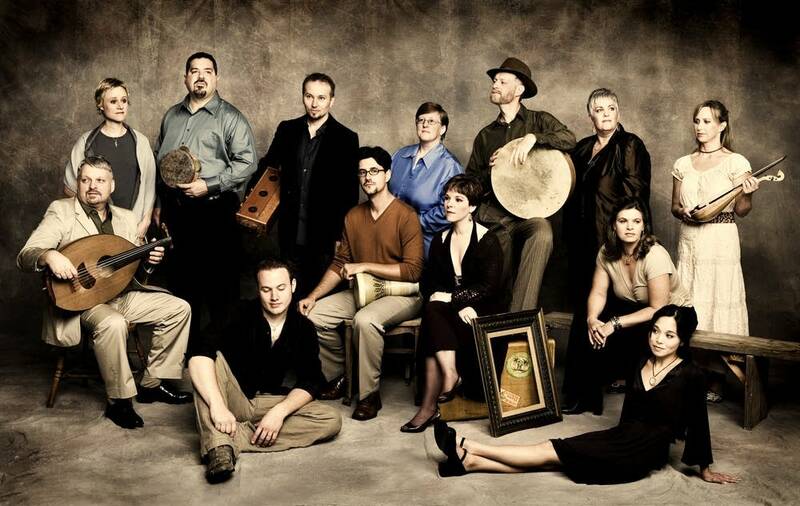 Based in Saint Paul, Minnesota The Rose Ensemble was founded in 1996 by Artistic Director Jordan Sramek. The American Composers Forum supports composers and develops new markets for their music.